A s part of our continued global expansion, eTribez is pleased to welcome Kara Bilkiss to our L.A. team. Kara will assume the role of Sr. Director, Sales and Client Relations, where she will head up sales and operations for North America. Kara brings significant experience to eTribez, including over 20 years as a digital business executive. Before joining eTribez, she was a Consultant for Employee Digital Media and Social Media Products (‘EDM’) at The Walt Disney Company. 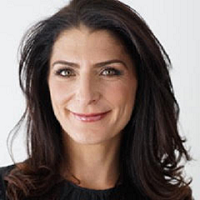 Prior to that, she was Vice President, Worldwide Mobile Entertainment at Sony Pictures Television/Sony Pictures Home Entertainment, where her team produced games representing TV and film properties, such as: Wheel of Fortune, JEOPARDY!, James Bond and Zombieland. Kara holds an M.B.A. in International Business from Loyola Marymount University, and a J.D. from Loyola Law School. Kara is excited to be joining eTribez, as we continue to grow and develop our strong presence in North America. e Tribez and Endemol Shine UK have joined forces for a unique online campaign for Simon’s Cat, an animated series originally launched on YouTube in 2008 that follows the antics of a mischievous cat and his long-suffering owner, Simon. This is an eTribez User Generated Content (UGC) campaign, created for Simon’s Cat fans to submit photos and videos of their cats to be featured on the Simon’s Cat social channels. 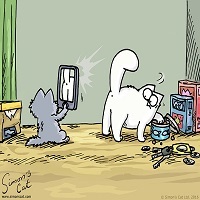 The first call ‘Kittens – Simon’s Cat Snaps’ was seeking lovable hairball kittens that love destroying their owner’s possessions, while still looking adorable in the process. eTribez’ UGC solution gives producers such as Endemol an efficient and effective way to support new content creation from mass audiences, enabling users to upload nearly any type of content they choose, in real time. For more on eTribez’ UGC solution and capabilities, see www.etribez.com/audience-generated-content. 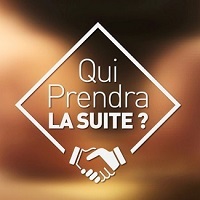 e Tribez and Fremantle Media France have launched online casting for Qui Prendra la Suite, a show looking for the best new artisans that France has to offer. The show, which will air on the France 3 network, offers a journey of discovery for six artisans with six different trades…those full of both passion and know-how. Throughout France, these artisans work hard and devote their lives to their craft. But all have the same problem: hiring someone who can one day take over their craft and succeed them. Applications are open to submit resumes of the artisan who can make this happen. The show is set to be broadcast in primetime in the fall of 2017. The online casting link can be found here: https://fmfr2.www.etribez.com/a/fmfr2/qpls/welcome.